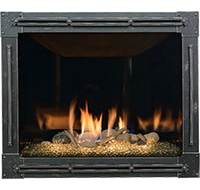 Amantii’s realistic flame and larger flame viewing area are standard for this 51” electric unit. 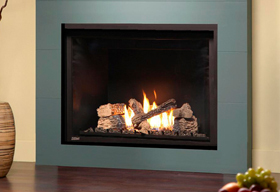 The fireplace unit can be recessed into an opening leaving the 3-3/8” depth concrete face sitting nearly flush against the wall. Included in the box is our new selection of three colors of fire glass media. 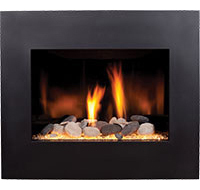 The BLT -IN-5124 Classico Style is designed to be wall mounted or built-in.